Madonna does it. Jennifer Aniston does it. And so do plenty of pro football players. These days, it seems like everyone is doing pilates, a form of exercise that strengthens core muscle groups for a lean, toned body. Written and developed by a renowned pilates instructor, Pilates Anatomy is designed to be a thorough guide for every level--from beginner to advanced. This unique book aims to teach more than just different exercises. Detailed anatomical illustrations teach readers all about muscle mechanics and how their bodies work to encourage safe, injury-free workouts. To help reinforce students' understanding, this book also features reference sections on pilates terminology and a glossary of muscles. Discover how "chicken wings," "tiny steps," and "the corkscrew" can help create a long, lean, strong body. 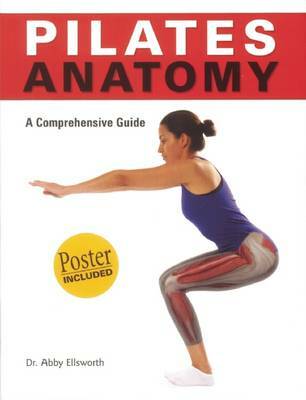 Readers can choose from a comprehensive list of individual pilates exercises designed for every level of practice. In addition to individual movements, this amazing book also includes a series of challenging workouts featuring both mats and props for beginning, intermediate, and advanced students. Interest in pilates continues to grow--there are over 15 million people who regularly practice pilates, and many more who would like to try this method of exercise.